Firestone Tires wants to see how you do country. Share with them and you could win a trip to the 2017 CMA Music Festival or other summer country music shows or lots of other great prizes, too! 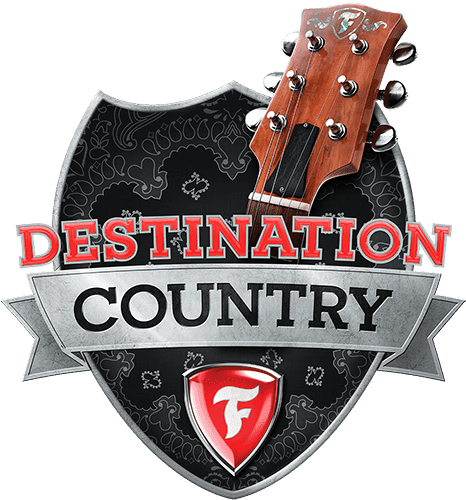 GRAND PRIZE: A five (5) day/four (4) night trip for two (2) to the 2017 Country Music Association (“CMA”) Music Festival (“Festival”), in Nashville, Tennessee in June of 2017. (Once the information is available to Sponsor and Administrator, verified Winner will be advised of the dates of the 2017 CMA Festival. Solely for reference purposes and in no way binding upon Sponsor or Administrator, the 2016 CMA Music Festival will take place June 9 – 12, 2016.) Trip includes round-trip coach class air transportation from the major U.S. airport nearest winner's home to Nashville, TN (airport and carrier to be determined by Sponsor), standard hotel accommodations for four (4) nights (one room/double occupancy in a hotel chosen by Sponsor in its sole discretion), rental car and two (2) admission tickets to the CMA Music Festival. The approximate retail value of the Grand Prize is $7,200. First Prizes: (3) Three Total – One (1) per Entry Period: A trip for two (2) to a 2016 Country Music Festival as noted in the chart below. Each First Prize trip will be for the winner and one (1) travel companion to attend the corresponding festival for the Entry Period won. Trip includes round-trip coach class air transportation from the major U.S. airport nearest winner's home near the festival city (airport and carrier to be determined by Sponsor), standard hotel accommodations for the number of nights indicated in the chart below (one room/double occupancy in a hotel chosen by Sponsor in its sole discretion), use of a rental car for length of stay and two (2) admission tickets to the festival. The approximate value of the First Prize for Entry Periods 1 and 3 is $5,000. The approximate value of the First Prize for Entry Period 2 is $5,500. Second Prize (15) total – Five (5) per Entry Period: A tailgate package consisting of a stainless steel cooler with bottle opener, a roadtrip two burner portable grill, two (2) folding mesh chairs, a Bean Bag Toss game and a Ladder Ball game. Specific models/styles of package items at Sponsor’s sole discretion. (ARV: $660 each). Third Prize (75) total – Twenty-five (25) Per Entry Period: A $50 Firestone Complete Auto Care Gift Card. Fourth Prize (150) total – Fifty (50) per Entry Period:A Firestone branded hoodie from the Firestone Drive Store (ARV: $45 each). HINT: There are a whole lot of ways to get bonus entries, so be sure to see the rules for details. This Sweepstakes ends on 08/17/16 and you can ENTER ONCE to win.